The warmest season of the year has arrived and it’s time to head outdoors and gather together for some wholesome summer fun. Whether you are celebrating with family or friends, bring everyone together this season with some simple excitement right in your own backyard. 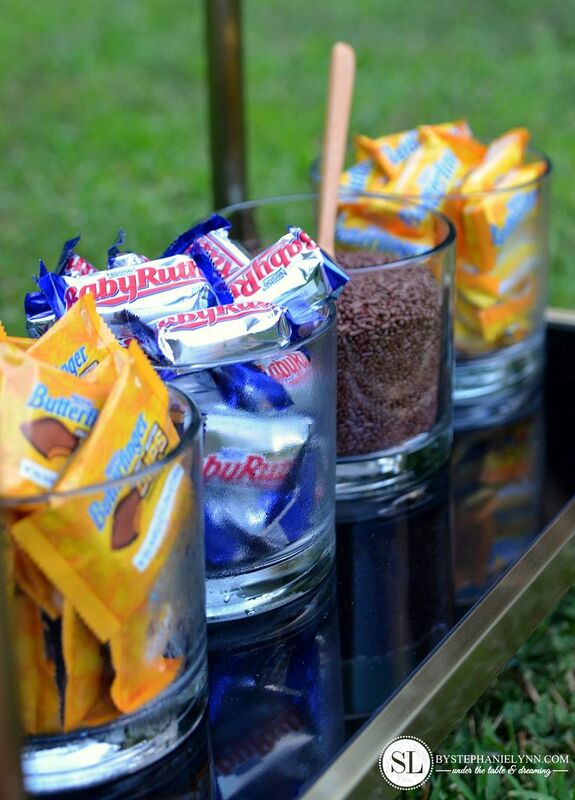 Outdoor lawn games are enjoyed by guests of all ages and this party set up combines a DIY classic, along with a quintessential summer treat. 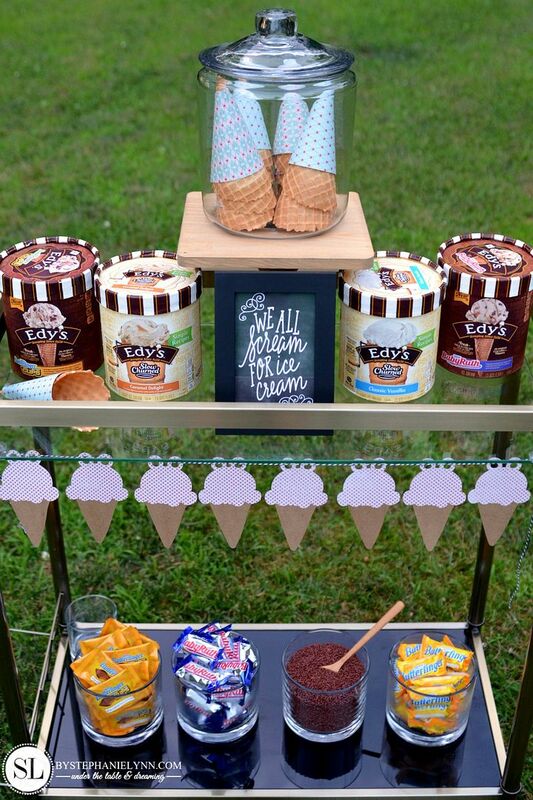 Backyard Game Night Ice Cream Social party plan below. 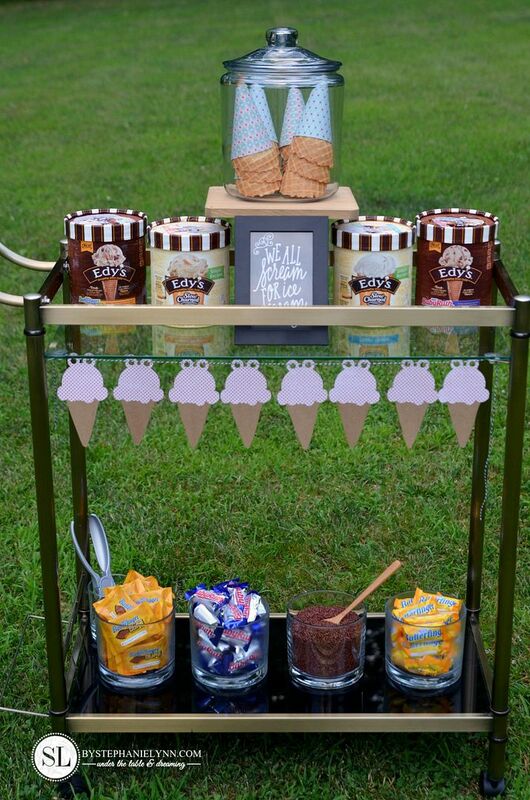 The ice cream cart is incredibly simple to put together and there are a few free printables, at the bottom of the post, to help you create your own display. 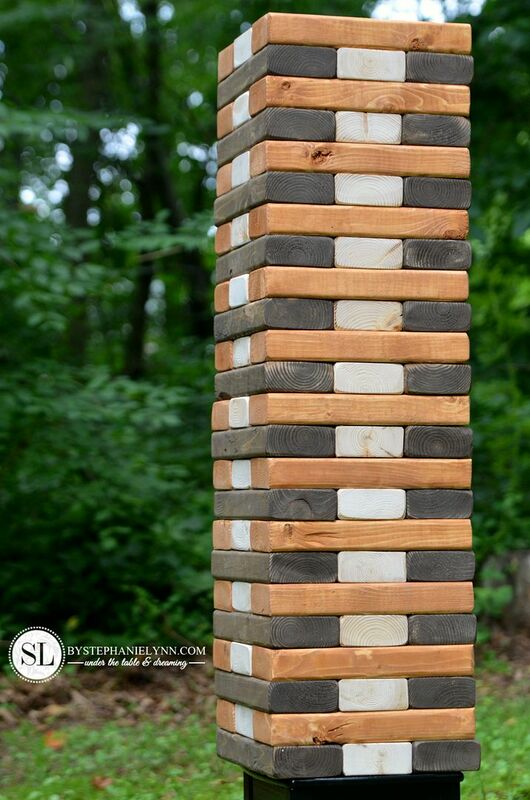 We’ve also included the instructions below to make your own oversized Jenga game set. 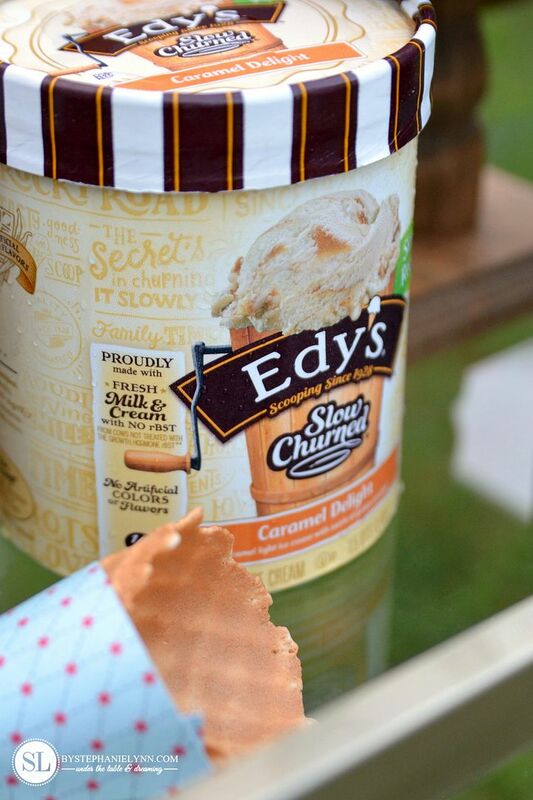 Warm weather calls for cooling treats and the all in one ice cream cone is an essential summer favorite. If you’re looking to keep it as simple as possible, forgo the extra garnishes and pick up ice cream varieties already infused with tasty toppings. 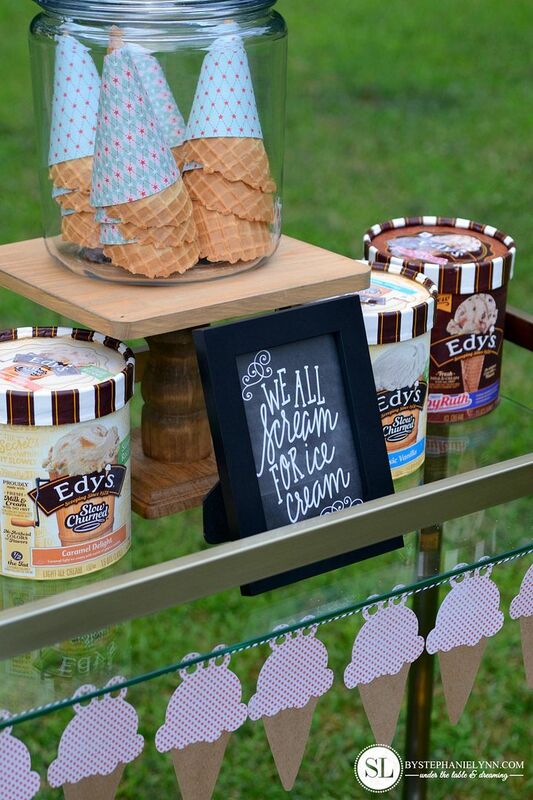 Our ice cream cart included EDY’S® Butterfinger Peanut Butter Cup, EDY’S® SLOW CHURNED® Caramel Delight, EDY’S® SLOW CHURNED® Vanilla, and EDY’S® BabyRuth Ice Cream varieties. 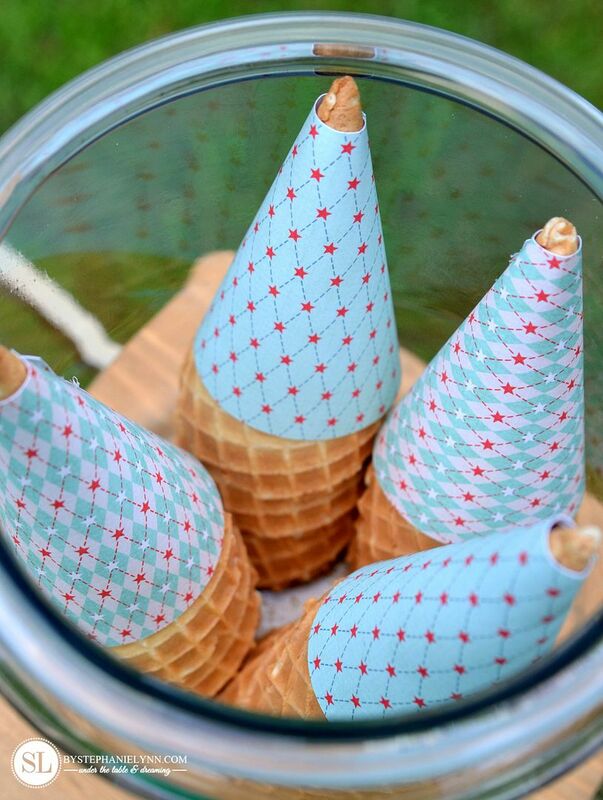 The waffle cones were dressed up with some patterned paper wrappers. 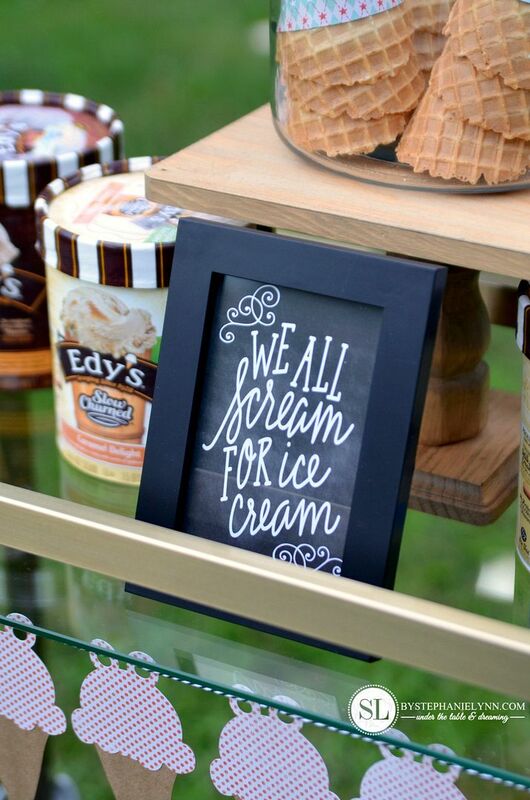 The ice cream cart was adorned with some easy-to-create decor. 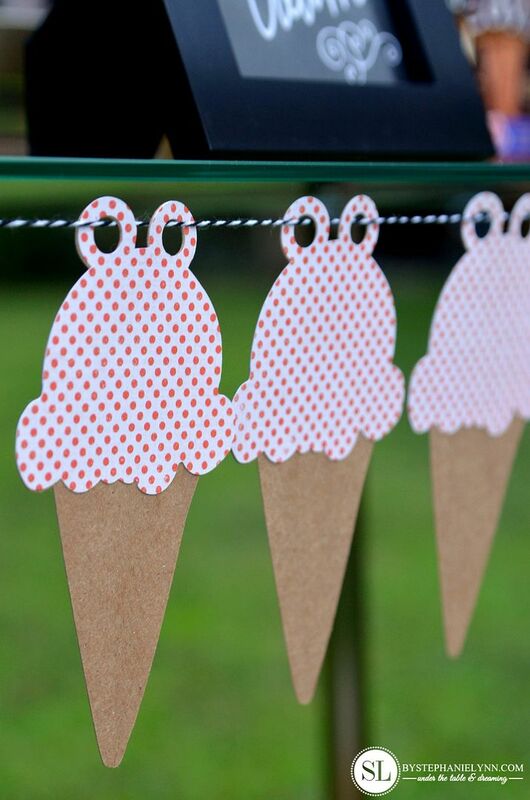 The ice cream cone banner was made with cardstock, glued together and hung with bakers twine. Though the extra toppings are totally optional, we included some wrapped varieties to coincide with our ice cream choices. 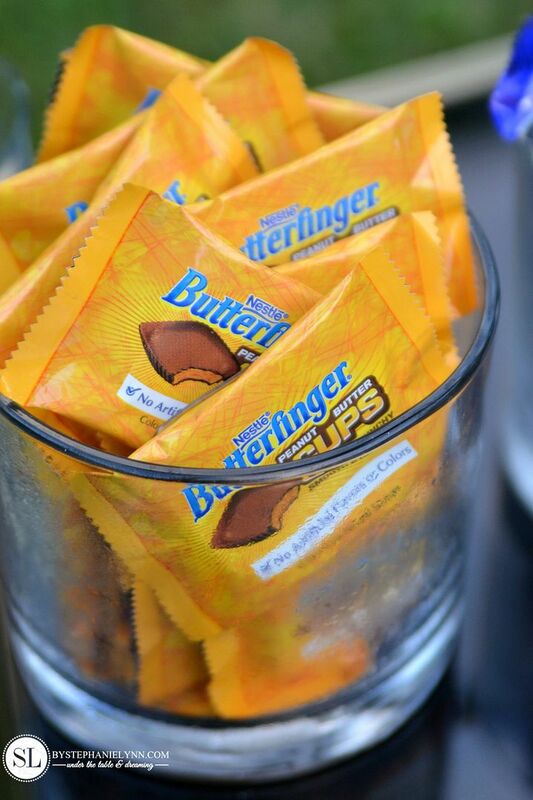 These can also double as little treats to savor during game play – as a prelude to the ice cream treats to come. 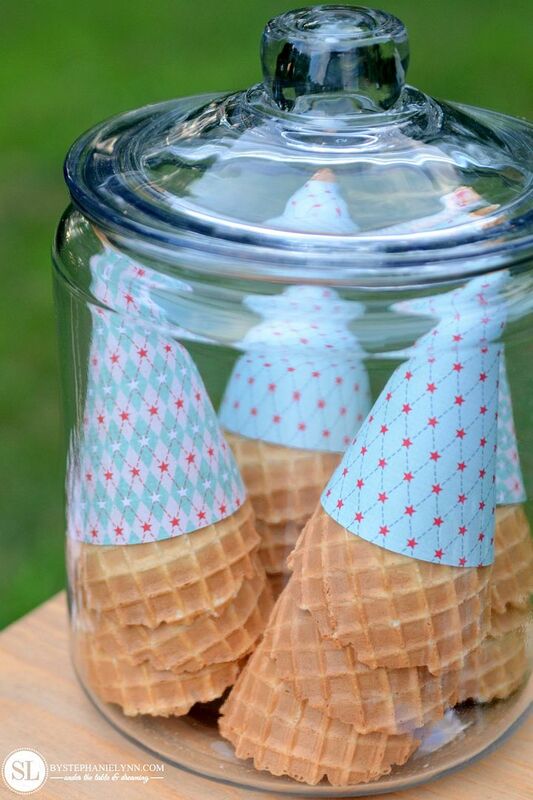 Tip: To keep the treats from quickly melting in the summer heat refrigerated the packages for 24 hours prior to serving. 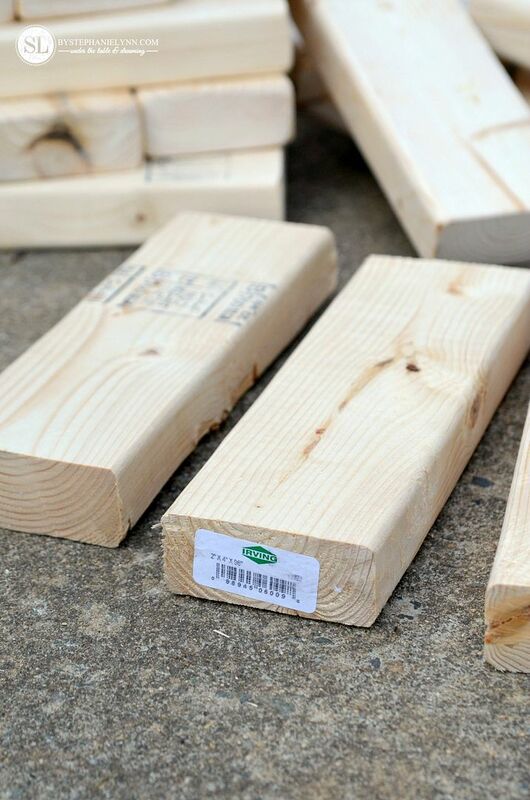 Step One: Measure and cut the 2×4’s into 10 1/2 inch pieces. To make the process quicker, use a chop saw and create a jig set to 10 1/2 inches so you do not need to hand measure each cut. 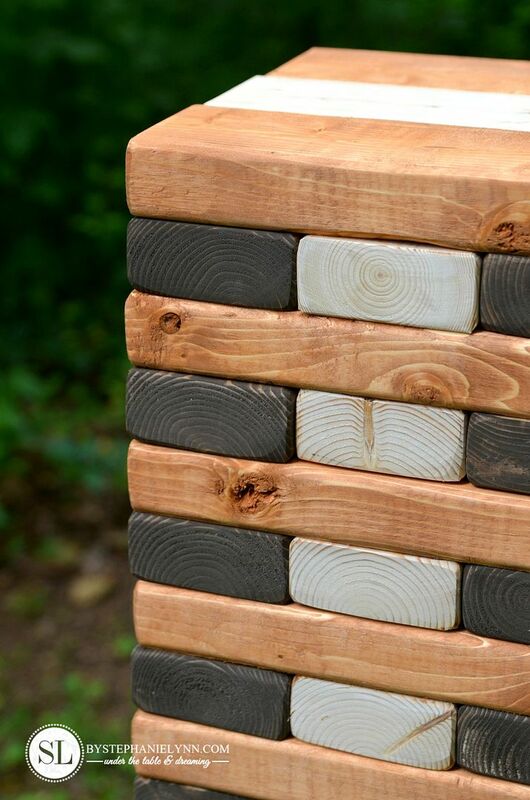 We used inexpensive SPF softwood lumber for our pieces. When selecting pieces look for straight boards with smaller knots. 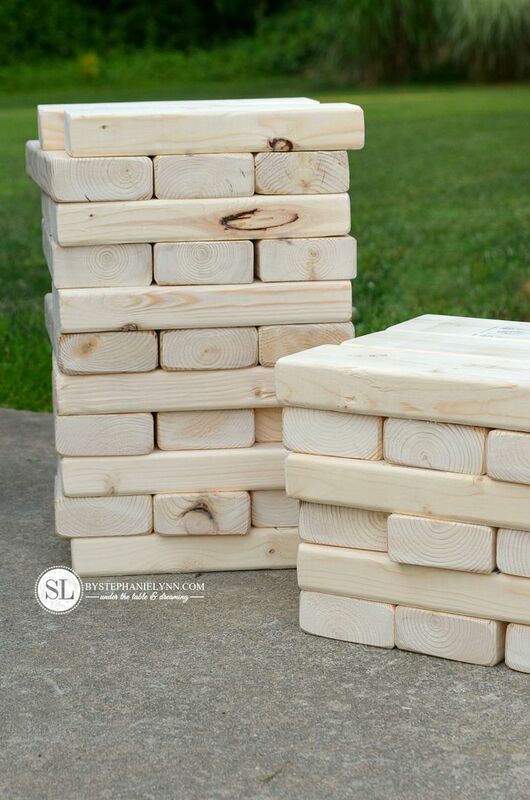 Although a traditional Jenga set is made of 54 pieces – we made 72 cut pieces for this oversized set. Step Two: Sand each piece of wood. We used 80 grit sandpaper followed by 220 grit to sand each side of every block smooth and round the edges. This is not prime lumber so there will be imperfections in the wood. Step Three: Stain or paint each block as desired. Set up the game by stacking the initial tower. Each level of the tower will consist of three blocks placed adjacent to one another, along their long side. Each level will be perpendicular to the previous level. (for example, if the blocks in the first level lie lengthwise north-south, the second level blocks will lie east-west). Once the tower is built, the person who built the tower gets the first move. 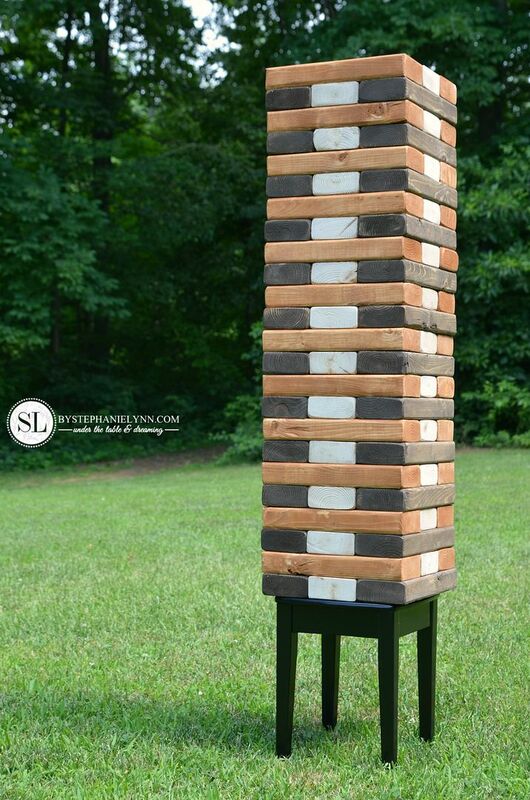 Moving in Jenga consists of taking one and only one block from any level (except the one below the incomplete top level) of the tower, and placing it on the topmost level to complete it. Only one hand should be used at a time when taking blocks from the tower. Blocks may be bumped to find a loose block that will not disturb the rest of the tower. Any block that is moved out of place must be returned to its original location before removing another block. The turn ends when the next person to move touches the tower or after ten seconds, whichever occurs first. 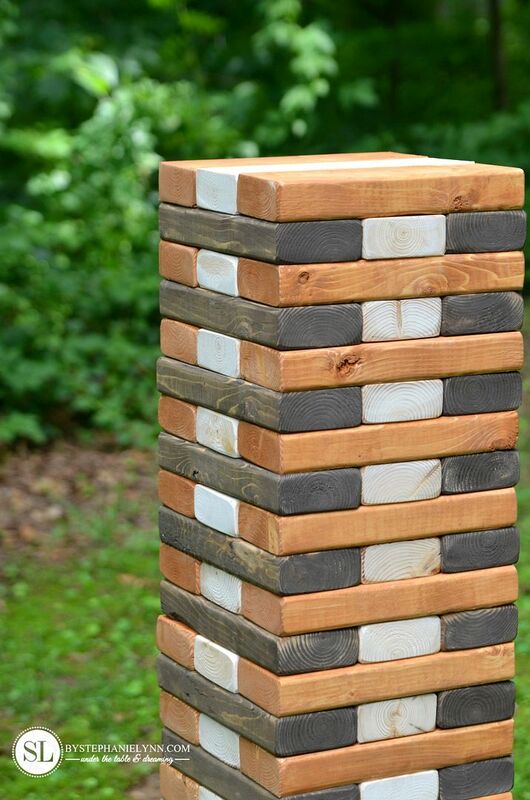 The game ends when the tower falls, or if any piece falls from the tower other than the piece being knocked out to move to the top. The winner is the last person to successfully remove and place a block. 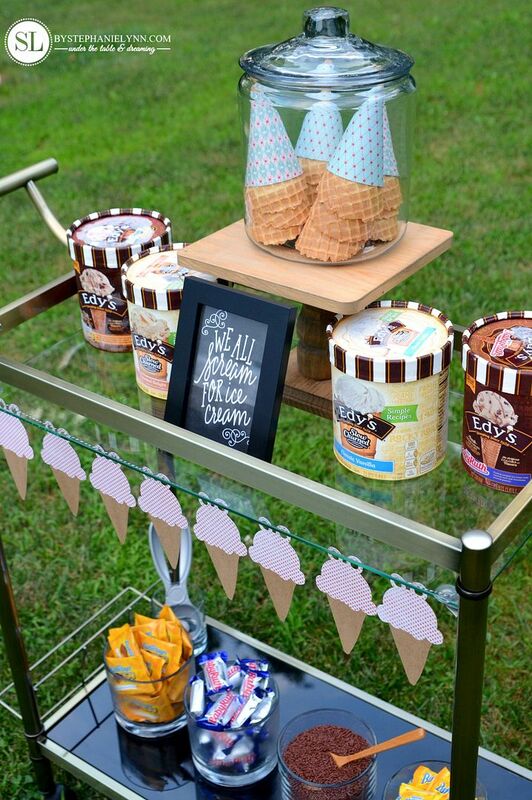 All of the items included in on the ice cream social cart were conveniently picked up at our local Walmart. 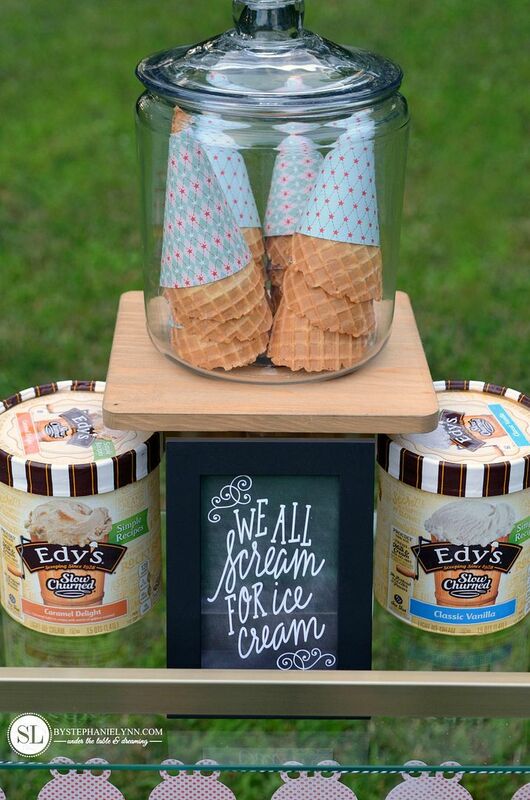 Celebrate togetherness this summer with EDY’S® and DREYER’s SLOW CHURNED® and Candy Variety Ice Creams. Both are proudly made with fresh milk & cream with no rBST and no artificial colors or flavors. 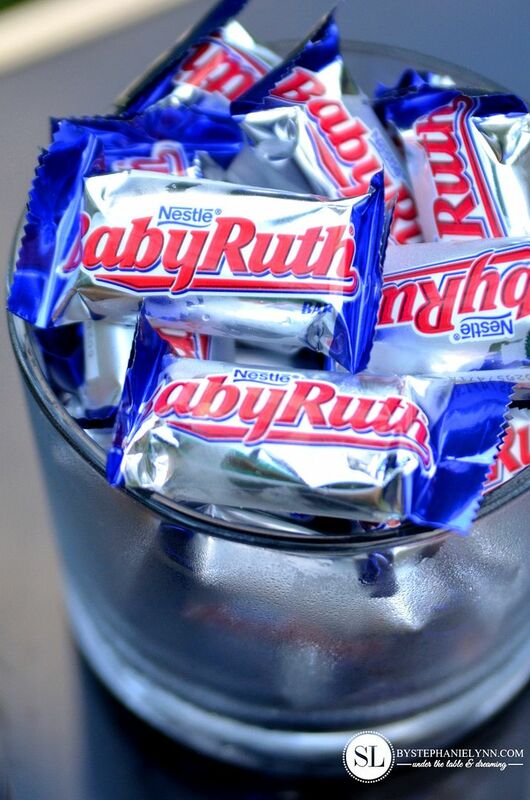 The candy varieties are inspired by your favorite candies like Nestlé Butterfinger® Peanut Butter Cups and Baby Ruth®. 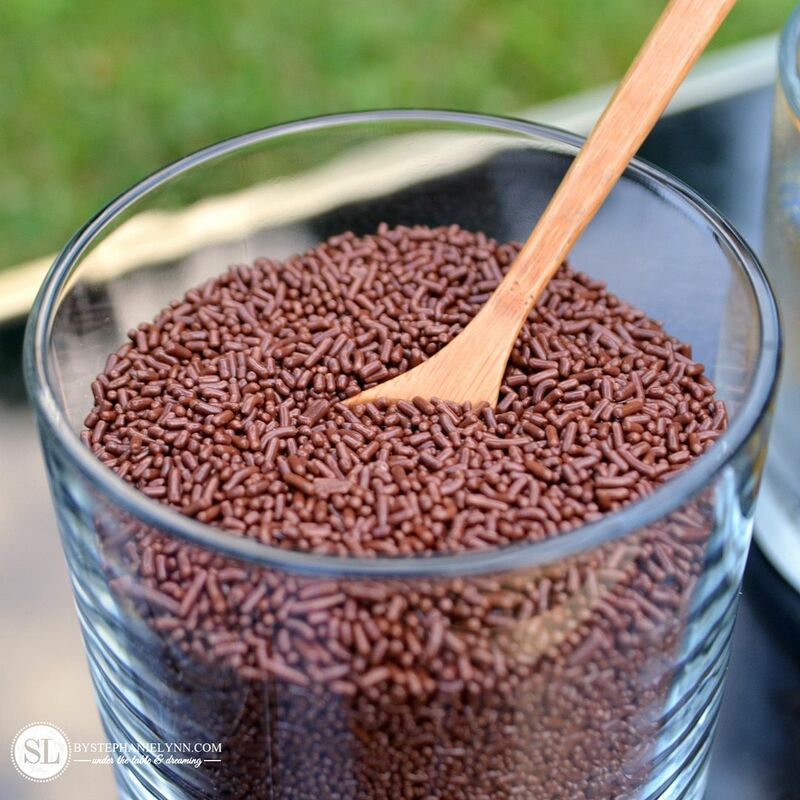 While the SLOW CHURNED® Simple Recipes are made with real, simple, non GMO ingredients – Simply made, simply delicious. 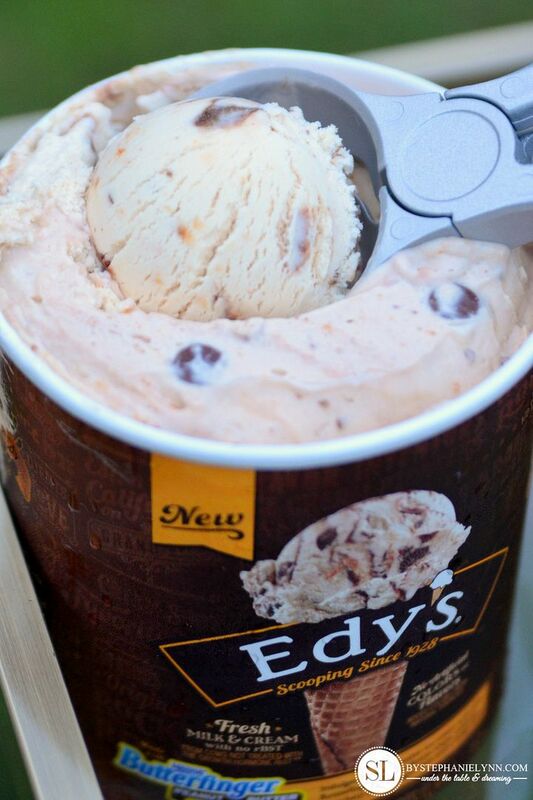 For more inspiration and product information, check out EDY’s on instagram, pinterest, and facebook or keep a eye out for an in-store demo near you. 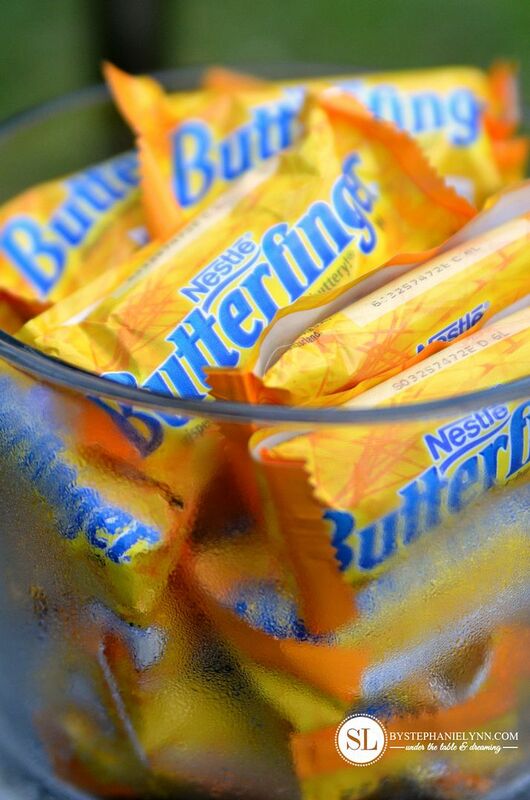 How will you make this season #SweeterTogether? What fun! I would love to be a guest and play in your backyard. Fabulous backyard party!